The last news about Mary Mother of Christ. Watch the movie trailer soon. Update (June 7, 2012) - We received an update from Aloe Entertainment: The director is Alister Grierson and the confirmed stars are Odeya Rush as Mary, Peter O'Toole as Symeon and Julia Ormond as Elizabeth. Plot:'Under the reign of terror of Herod the Great and against all odds, Mary and Joseph survive as young parents in one of the most treacherous times in history. From Mary's youth to her struggles as a young mother caring for her child, Jesus, up to the age of four years old. We will peer into Mary's life at ages 8, 15, 19 and 27"
Mary Mother of Christ is an upcoming historical movie that will retrace the life of Mary (September 8, 20 BC?-January 1, 45 AD? 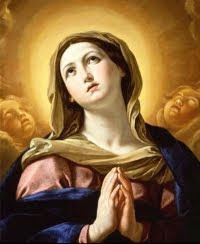 ), usually referred to by Christians as the Virgin Mary, a Jewish woman of Nazareth in Galilee, identified in the New Testament as the mother of Jesus Christ. 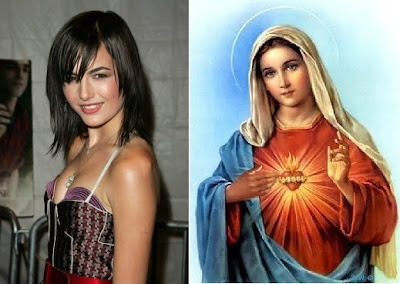 Director James Foley will be helming the project, and Actress Camilla Belle got the lead role as Mary. The film is based on a script written by Benedict Fitzgerald and Barbara Nicolosi.Filming has begun in Moroco. The movie Mary Mother of Christ should be released sometime in 2011. I did some background check on Benedict Fitzgerald and Barbara Nicolosi, the scriptwriters behind Mary Mother of Christ. It seems both are Catholic. And Benedict Fitzgerald co-wrote the script of Mel Gibson's Passion of the Christ. So the movie Mary Mother of Christ most probably respect the Bible. And there is hope for this biopic of Mary to be as inspiring as the Passion. What do you think of Actress Camilla Bella as the Virgin Mary, is she the right actress for such a sensitive role?